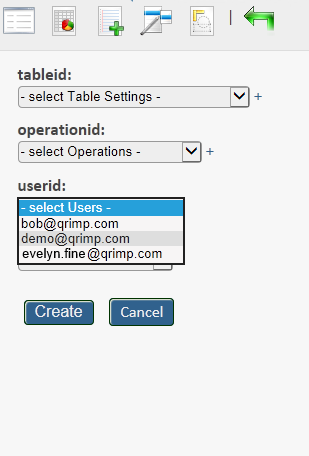 Set up notifications in your Qrimp app to send an email to a user when data is added, deleted or edited. 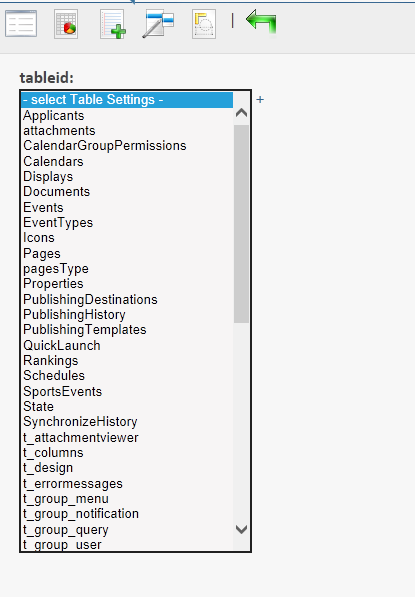 For example, you can set up an email to a sales rep when a table is updated. To subscribe a user to a notification, go to Admin > Notification Subscriptions. Click the Add New Icon . Choose the table you want to send a notification for. Choose which operation triggers the notification. 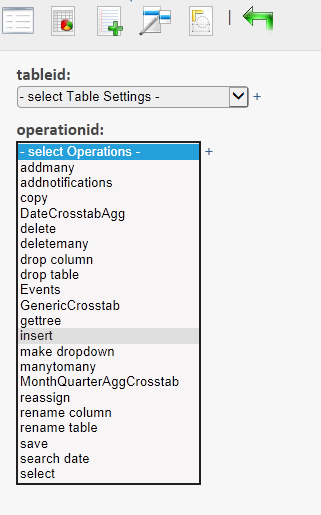 The most common operation is insert, which is when someone adds a new record to a table. Choose the user who will get the notification. Then choose a notification message. You can see and edit the content of a notification message by going to Admin > Notification Templates. (See also: Notification Templates). You can get very specific about when to send a notification. For example, you may wish to only notify a sales rep, if a website visitor creates a new order with an order type of "Wholesale". To customize, go to your list of user notifications and click the link that says "customize". Enter the parameters for your notification. Now the user will only get this notification when that specific criteria is met. You will see an option at the right to "Customize filters for this notification subscription". Click the link then Search to further restrict notifications. For example, you could choose to only receive an Email notification when someone inserts a Project into the Projects table with the word "Human Resources" in it.